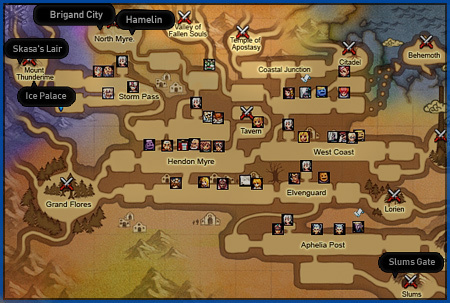 A new area called North Myre will be added. 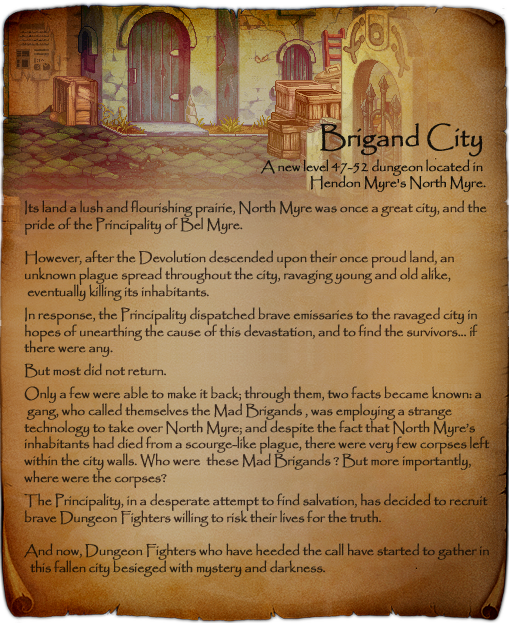 Once the pride of the Principality of Bel Myre, you can explore this new area by travelling due west of Grubeck. 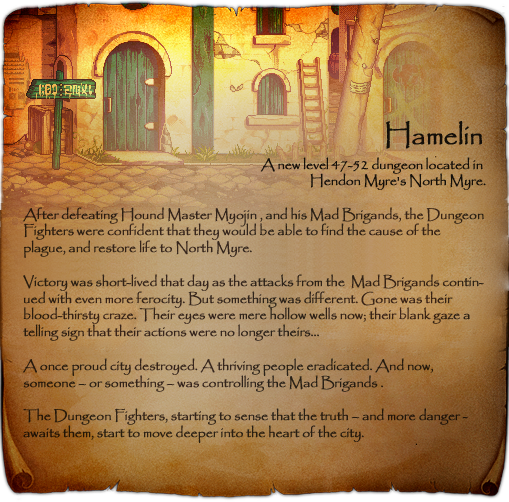 5 new dungeons will be added to test your fighting prowess: Brigand City, Hamelin, Skasa's Lair, Ice Palace, and Slums Gate. Rossi, who transformed into a conjuring witch through Skasa’s magic, lives eternally within the palace walls that she built. Inside this frozen confine, you will encounter Rossi and her 5 Court Ladies. 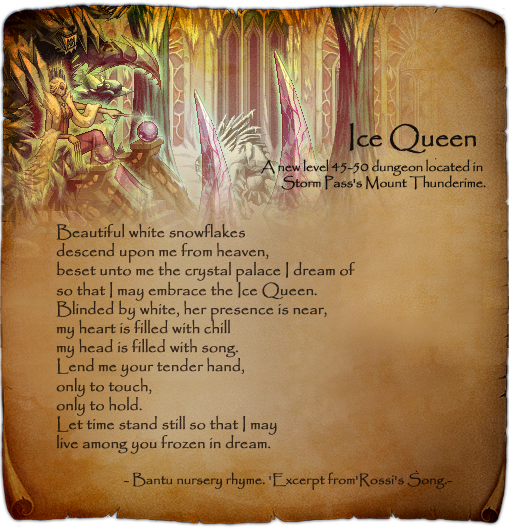 Confined within her frozen tomb, and bound to her throne, Rossi controls and commands her Court Ladies, and attacks unsuspecting Dungeon Fighters through them. Skasa awaits you from atop the highest peak of the mountain. 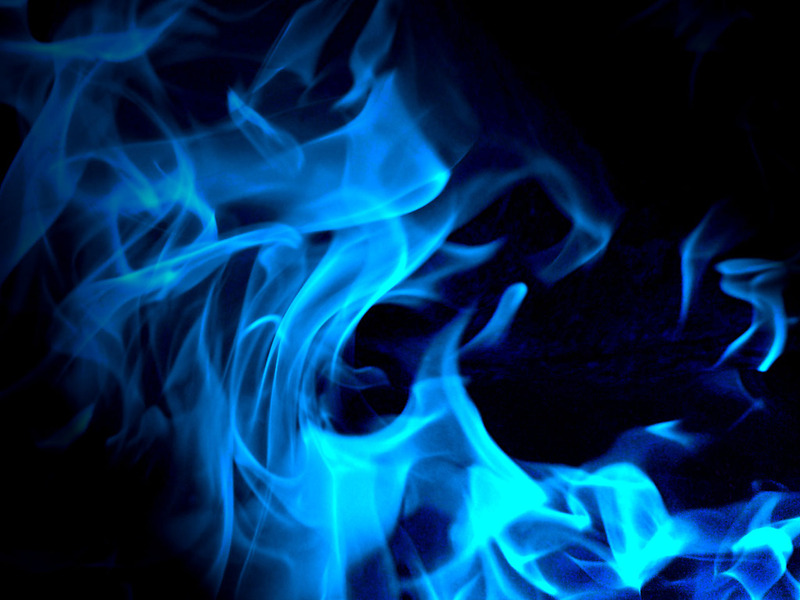 Your road to Skasa is a dangerous one. 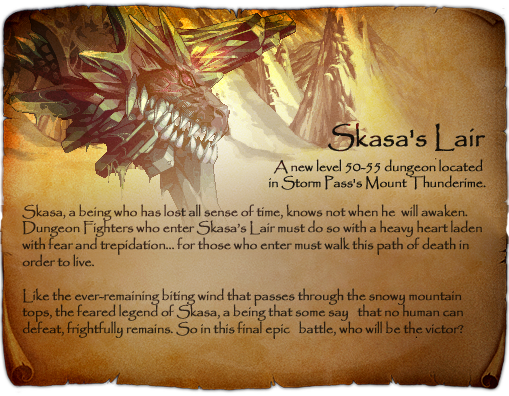 You must battle the hordes of monsters that guard Skasa first, before engaging in this final fight. Fight the hordes bravely, all the while avoiding Skasa’s Snow Breath. 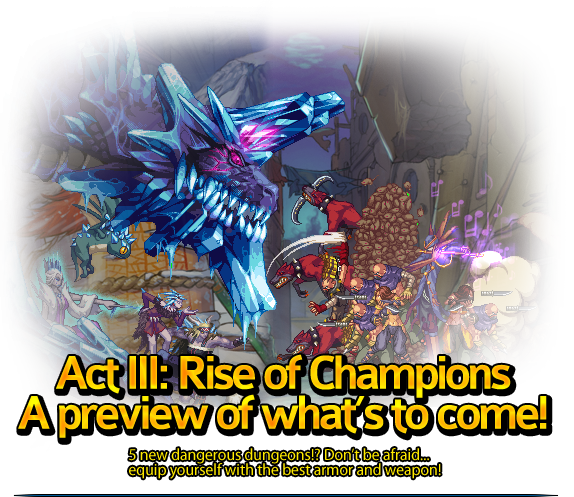 Beware of Skasa’s Snow Breath and various melee attacks. The Headless Knight must guard Slums Gate as an eternal penalty for having failed a mission when he was a Guard Captain defending the Dark Elf City. 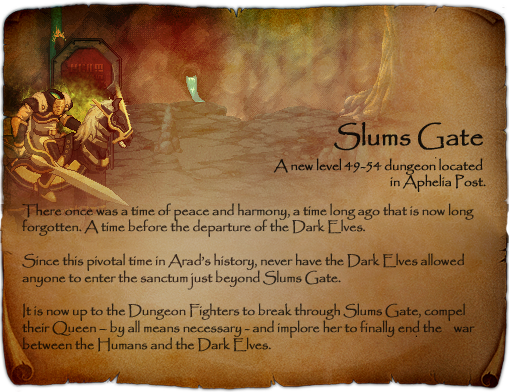 Battle the Headless Knight’s ephemeral spirit, along with the other phantasmal ghosts within Slums Gate, and release their tortured souls. Be weary of the drifting spirits that are sent by the Headless Knight; although they may not attack, they will become aggressive if you unnecessarily provoke them with violence. 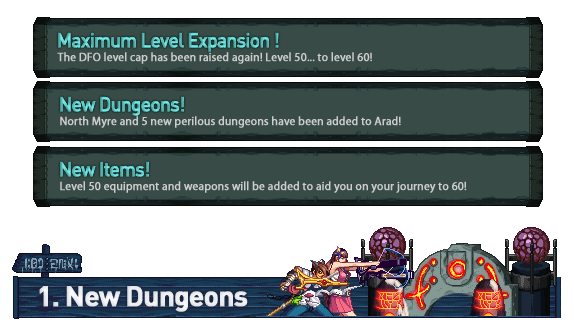 A whole new arsenal of weapons and equipment have been added to aid Dungeon Fighters on their perilous journey! Find out what some of these items are in this magazine!